Battle hordes of vigilant robots and gigantic bosses to end this eternal war. 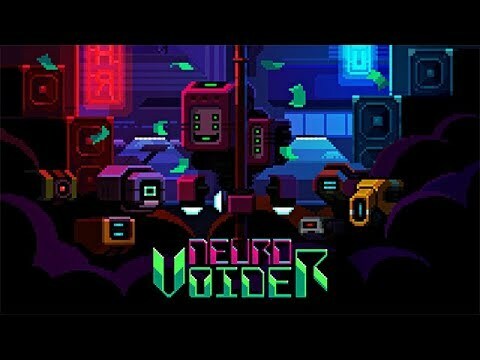 NeuroVoider is a twin-stick shooter RPG set in a cyber futuristic world about brains shooting around evil robots with nuclear rocket launchers. Battle through the horde of vigilant robots, boost your character with the smoking remains of your victims, and defeat the master NeuroVoider to end this eternal war. Play it coop with up to four friends, or go alone in an adventure of hack 'n slash rampage, with a pinch of rogue-lite, and some permadeath. Featuring 8,736 unique enemies to destroy, gigantic bosses to challenge your bullet-dodging skills, and tons of loot to customize your character, NeuroVoider is an action packed mission of survival.